“Welcoming and courteous on arrival and collection and service repairs completed in the time stated to me”. The Salesman was absolutely excellent, very instructive. He couldn’t do enough for us. He treated us with great respect. He had time for us and listened to us. Haynes have been better than any other dealer we have visited”. “The service we had was excellent”. “The Salesman was brilliant. He went to a lot of trouble to ensure I got the right vehicle for me. He could not do anymore”. “After buying about 6 or 7 cars from Haynes, I think their overall Dealership is very good and that is why my husband and I have bought cars from them. They are very efficient with their follow up calls, dealing with appointments etc”. 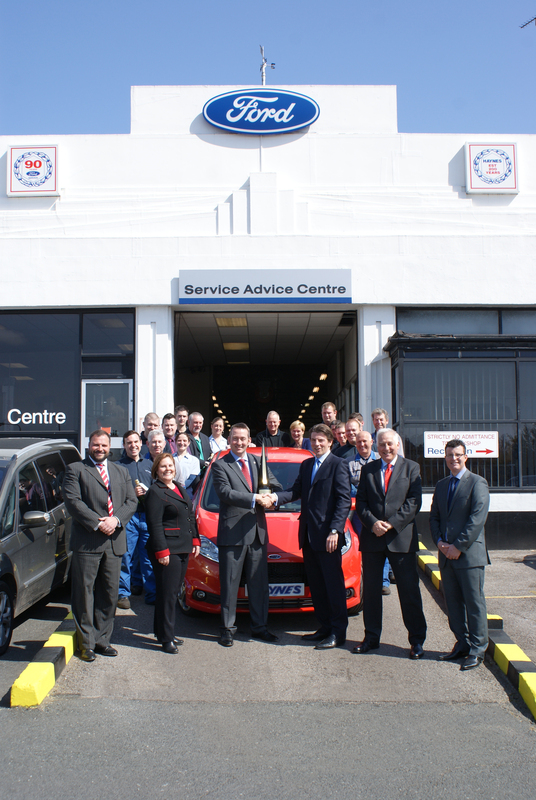 “Haynes staff are always helpful to customers and make everyone feel important to them”. “The service at Haynes was excellent they were very helpful”. “My Salesperson was very helpful, polite and very approachable and I was very happy with the service I received”. “I felt confident in my purchase because of the Salesperson”. “The Salesperson was professional, knowledgeable and very friendly. She kept us well informed of the progress and answered all of our queries promptly. We are extremely pleased with our lovely car and we would not hesitate to come back in the future”. “The service to my car was carried out professionally with no problems at all. Very satisfied with all parts of the operation”. “Not rushed and very open lots of choice”. “Haynes treated us like valued customers, nothing was too much trouble for them. We were not pressured by them, just helped. When our beautiful new Ford came in we were given a brilliant run through of all the instruments and even had the phone Bluetooth in. Service over and above we thought. This is the sixth new car we have had in our years of motoring but by far the best treatment. We will recommend Haynes to our friends”. This entry was posted in feedback on May 29, 2013 by Kay Bangle.